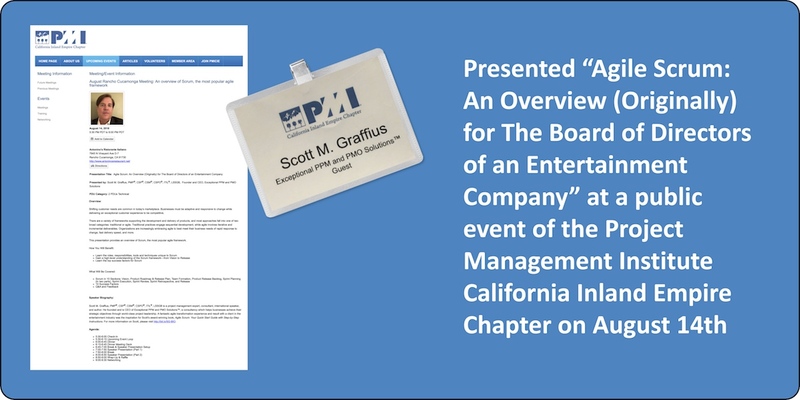 This is an update from Scott M. Graffius, CEO of Exceptional PPM and PMO Solutions™. 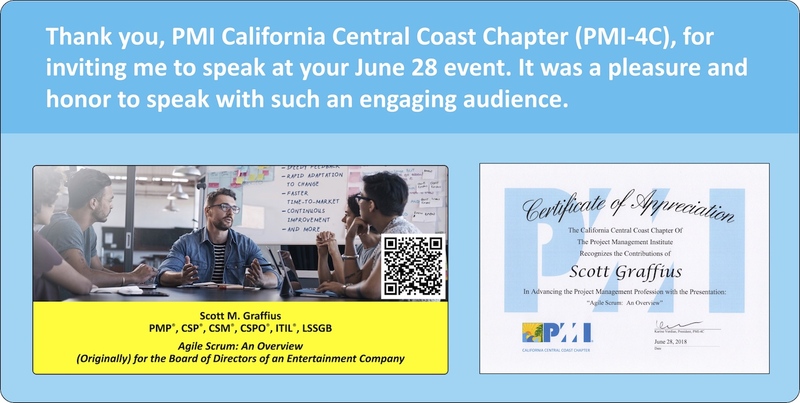 Scott M. Graffius of Exceptional PPM and PMO Solutions™ will deliver a talk—“Agile Scrum: An Overview (Originally) for The Board of Directors of an Entertainment Company”—at a public meeting of the Project Management Institute California Inland Empire (PMICIE) Chapter on August 14, 2018. For more information, and to register for the event, visit here. 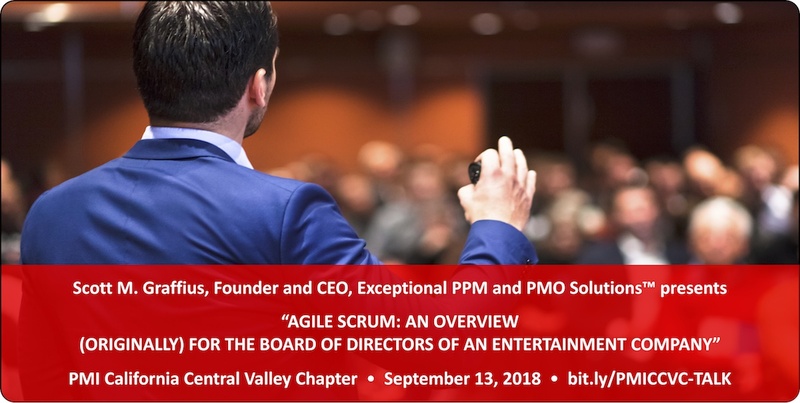 Scott M. Graffius, CEO of Exceptional PPM and PMO Solutions™, will present “Agile Scrum: An Overview (Originally) for The Board of Directors of an Entertainment Company” at a public meeting of the Project Management Institute California Central Valley Chapter (PMI-CCVC) on September 13, 2018. 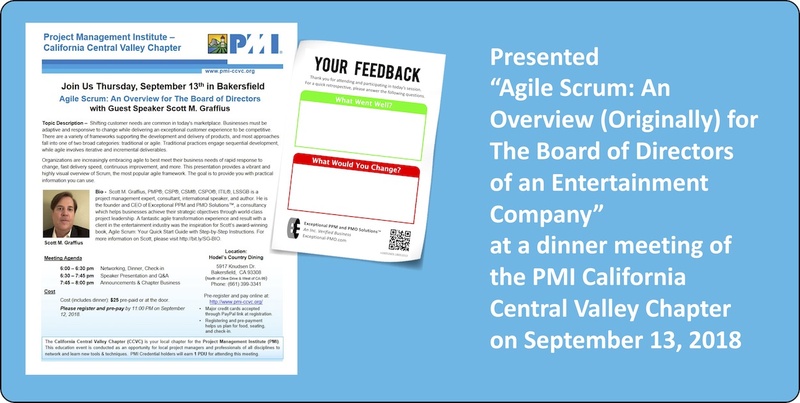 His talk provides a vibrant and highly visual overview of Scrum, the most popular agile framework for the development and delivery of products and services. For more information and to register for the event, visit here. 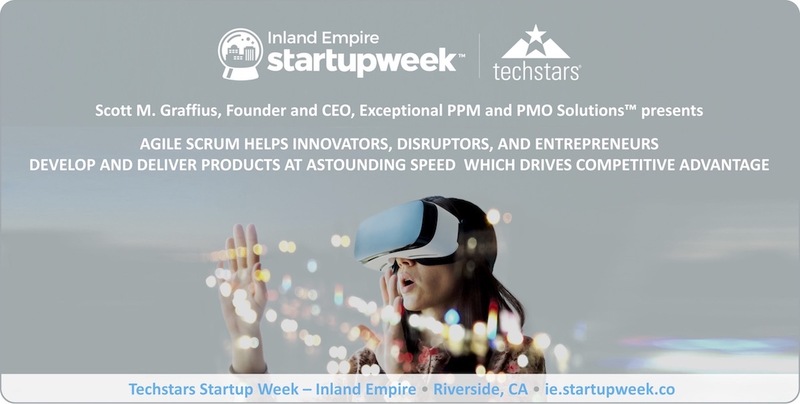 Scott M. Graffius, Founder and CEO of Exceptional PPM and PMO Solutions™, will be speaking at Techstars Startup Week. 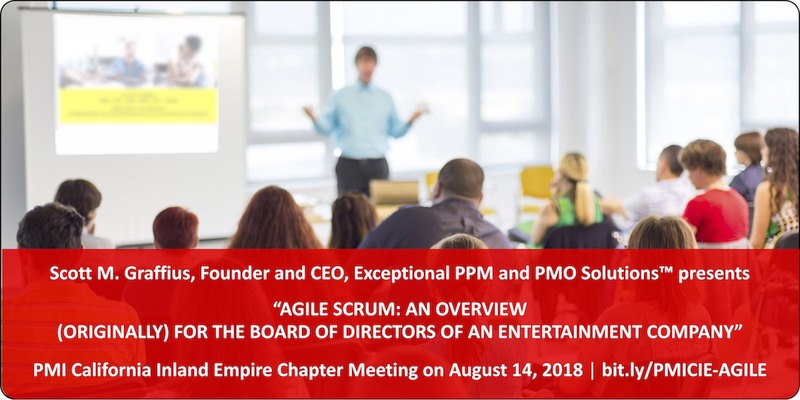 He will be presenting "Agile Scrum Helps Innovators, Disruptors, and Entrepreneurs Develop and Deliver Products at Astounding Speed Which Drives Competitive Advantage." The talk will be held at 2:00 p.m. on Thursday, October 4, 2018, at The Box Riverside (also known as The Box Theater) in Riverside, CA. 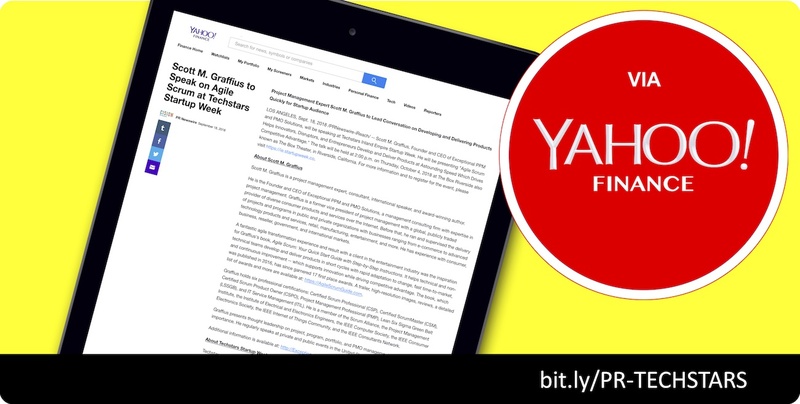 For more information and to register for the event, please visit https://ie.startupweek.co.